“These centres may be the main beneficiaries of the uncertainty caused by Brexit. “Surprisingly, despite some evident success in attracting new business, Dublin, Munich, Hamburg, Copenhagen, and Stockholm fell in the rankings, reflecting respondents’ views of their future prospects,” the study added. The City has been a key battleground in the Brexit debate, with warnings of an exodus of work and jobs to other EU capitals yet to be realised. The findings were seized upon as evidence the sector needs a Brexit deal to be agreed ahead of the March deadline. Mikes Celic, chief executive of industry group TheCityUK, said: “In a competitive world we cannot afford complacency. 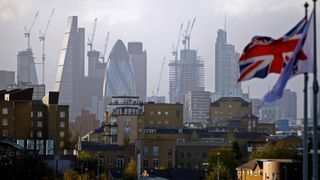 “London and New York have long vied for the top spot of this index and the uncertainty around the future shape of Brexit is likely to be factor in their latest switch in positions. “Most notable in this latest version of the GFCI is the continuing steady rise of the Asian centres. “Hong Kong is now just three points behind London for the first time. Singapore, Shanghai and Tokyo are close behind. :: The top ten financial centres as measured in the 24th edition of the GFCI (position from last report in March).